On first glance the shape is pleasing, handles authentic, frame is sound, no wobbles, useful drawers. It was stored in a playhouse in the country. Worst problem is the 'loud' mildew smell in the wood. 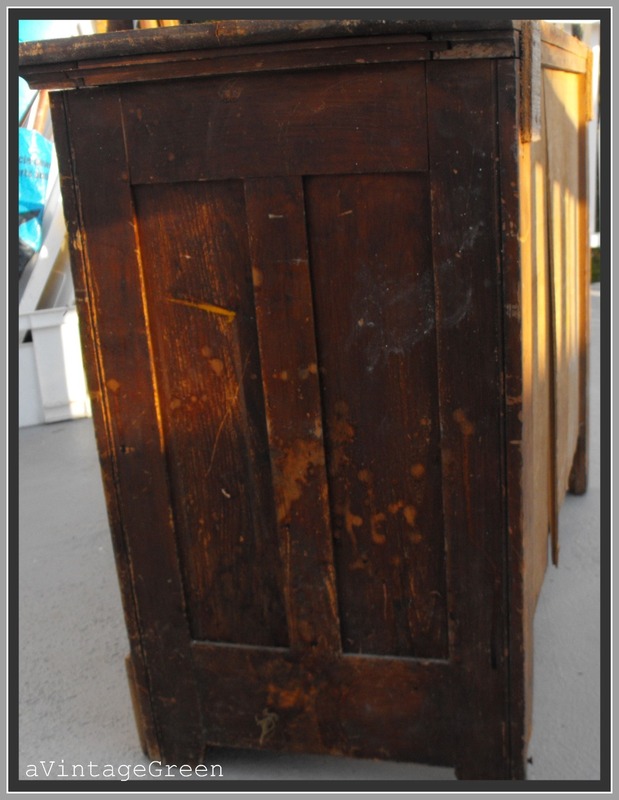 As well, there are a few rough repairs, one handle is missing, one handle is partly missing, two drawers do not close properly. It was a gift, but I am not sure I want to take on the time/work/effort to make it fit to live in a bedroom or sitting room. I also do not know if I can rid the wood of the mildew smell. The metal lock pieces are gone. Handles would have to be replaced. Photos taken in the late afternoon with the sun behind, shadows and bright/darks change the color. Most accurate color is 'flaking off dark brown'. What would you do - keep, donate? 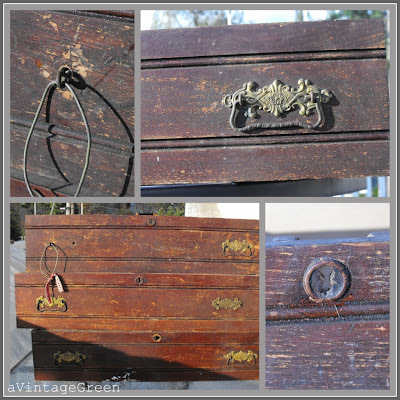 Beautiful Eastlake style (late Victorian style) well worth renewing with chalk paint. So far I have painted the inside of the drawers to see if that removes the smell. Joy, thanks for following me. 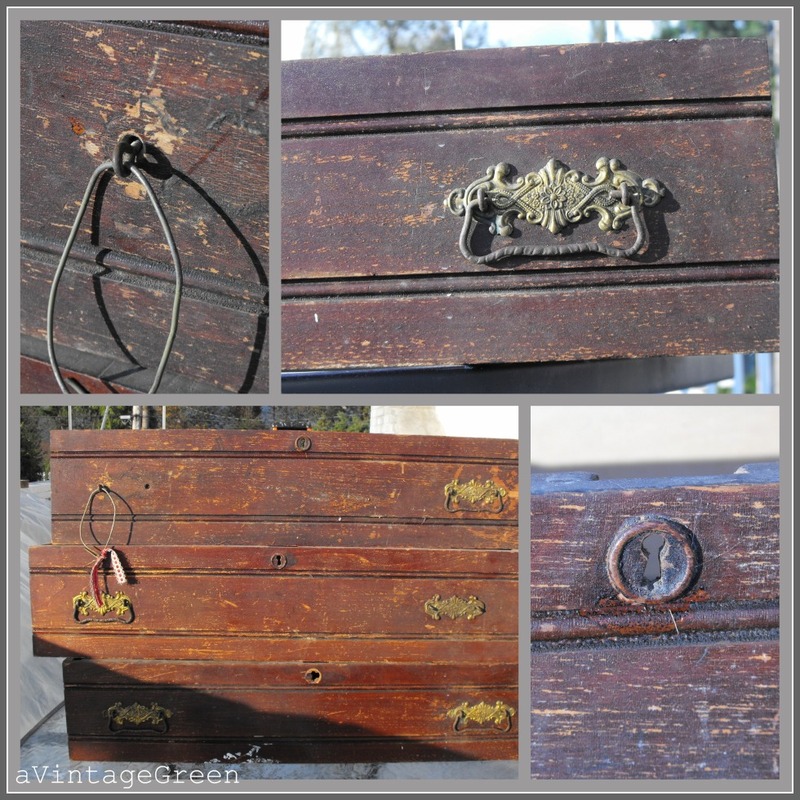 I would encourage you to take the plunge with stenciling. You will never look back. It's SO much fun. And remember, if you don't like it, you can always paint over it! Not sure I'd do the work either since it looks like lots of sanding will be needed, but there is something cool about it. I really like the sides. Yes see if the paint cover ups that smell....because it has great bones! Love all the details it has. I can just picture how beautiful it can be with a little TLC. I like the look of it, but.... mildew is hard to get rid of. I'm wondering if you could paint it with something like Kilz for the mildew, and then a good paint after that? I'm eager to see what you do with it, as it's a nice piece otherwise. Just needs a little love. I love a challenge, but the mildew would be a real test of my stamina. I do think it has great lines, though. Paint is pretty cheap and easy. Why don't you at least try it to see if the paint covers the smell? What about trying a mix of h2 and some of the was it wintergreen? that worked on the raccoon smell. That's a tough one. I think I would try to maybe fix it especially if it's sound and good wood. The mildew smell is the main issue for me. Perhaps some kind of strong cleaner to at least see if that clears up? I like the dresser itself though, has a lot of great potential! I would definitely give it a try! Set it out in the sun if you can for a few days to see if that helps the mildew smell. 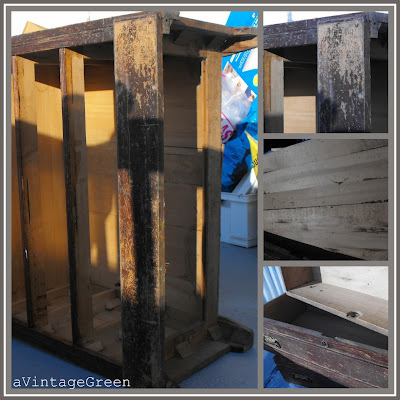 Lightly clean the insides of the drawers as well as wipe down the whole piece to remove any visible mildew. Sand down the outer finish (I actually like the sanding part!) and finish it off. Hope you find a way to save this one! Keep it! maybe just use steel wool on the outside and just leave it be, if the paint kills the mildew odor on the inside. 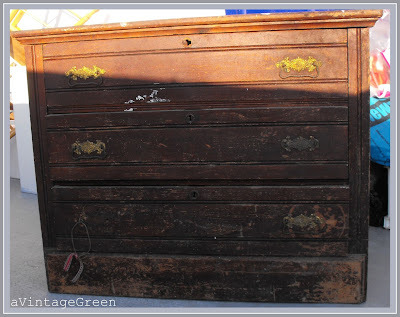 I would ASCP this pretty old dresser..I would be nice redone!